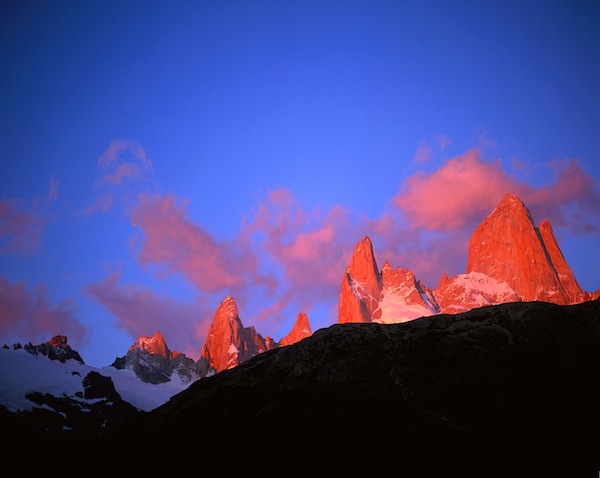 El Chalten- the mountaineers gateway to Los Glaciers National Park and the Patagonian Ice Cap. 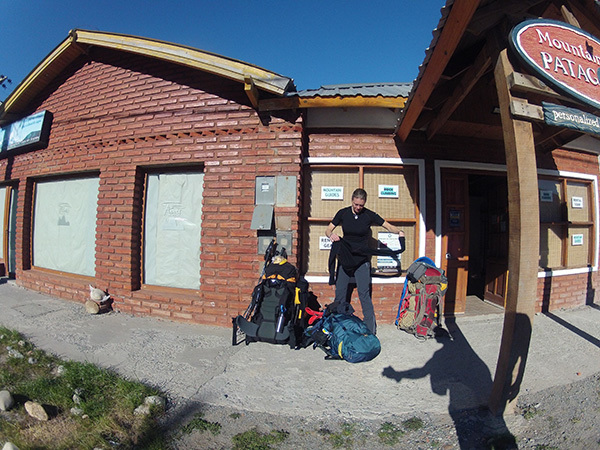 With months of preparation for the Patagonian Ice Cap traverse, we have finally arrived to El Chalten, a quaint climbing town at the base of Los Glaciers National Park. We meet with our mountaineering guides, Merlin and Martin from 'Mountaineering Patagoina' to discuss the details of the expedition. WIth perfect weather conditions predicted for the next few days we begin our packing to be able to leave a few days earlier than first planned. With 15 kilograms of camera gear alone, our packing allowing is rationed very tightly, and takes us most of the afternoon. Beautiful clear weather predicted - this is the view of Fitzroy from the quaint town of El Chalten. Final preparations outside 'Mountaineering Patagonia'. Unusual high pressure system promises a few fine days ahead.